A kiss is just a kiss... unless it's in public in India | Jon Katz, P.C. 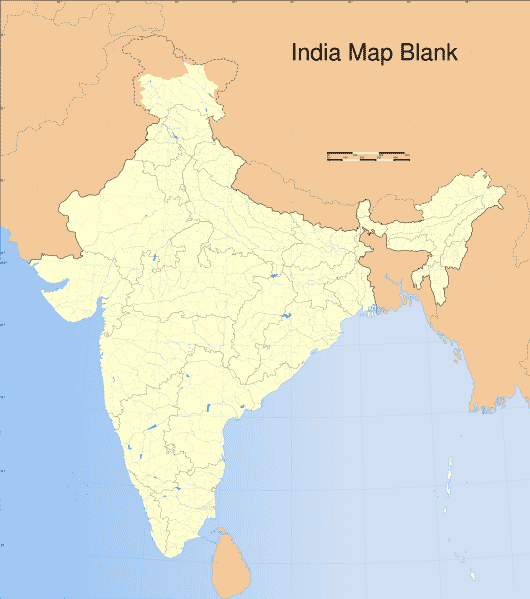 India map reprinted under GNU Free Documentation License. No matter how rampant is the injustice in the United States criminal justice system, the situation ordinarily is worse abroad. Following is an example from India. Film stars Richard Gere and Shilpa Shetty have arrest warrants against them for alleged obscenity, after he hugged and kissed her repeatedly on the cheek, in a poor recreation of sorts from the Shall We Dance movie in which he starred. The maximum possible penalty is three months in jail. It is one thing for people to insist on maintaining the centuries-long general custom against public displays of romantic expression in India. It is quite another to prosecute Gere and Shetty for obscenity. One Time magazine reporter, originally from India, pointed out that a smaller city magistrate issued the arrest warrants, doubts the arrest warrants will be served on Gere and Shetty (how he knows that, I do not know), and anticipates this whole affair will blow over soon enough. Although some demonstrators have been burning Richard Gere’s figure in effigy, it appears that plenty of establishment people oppose the obscenity prosecution, including the Indian Express. Richard Gere is not likely to stay out of India to avoid being served any arrest warrant, seeing that he frequently visits the Dalai Lama at his exile base in Dharamsala, India. Ms. Shetty is India-based both professionally and personally, and will not be staying out of the country, either. Jon Katz.